New York State’s rarest ecosystem co-exists with some of the greatest recreational opportunities in the state atop the Adirondack High Peaks. These peaks have been experiencing a dramatic increase in the numbers of hikers over the past seven years. Adirondack High Peaks summit stewards have been educating hikers about the alpine plants on the summits of these tall mountains for nearly thirty years. Increasing recreational use in the High Peaks has been a frequent news topic, with tales of trail erosion, crowding, trash and poop on the trails, but what about the summits? How do alpine plants fare in light of the increasing traffic? Are summit stewards still effective in their educational messaging? Thanks to a repeat photography study conducted by the Summit Stewardship Program, we can answer those questions. The 1960s brought an influx of hikers to the High Peaks, looking for mountain solitude but lacking in minimum-impact recreational skills. Prof. Ed Ketchledge, a botanist and professor at the State University of New York College of Environmental Science and Forestry, noticed that the alpine summits were getting trampled and initiated a restoration program to promote revegetation. Early on, Ketchledge realized that there needed to be an educational component to protecting the alpine plants. With a team of concerned individuals and organizations, he created the Adirondack High Peaks Summit Stewardship Program in 1989. 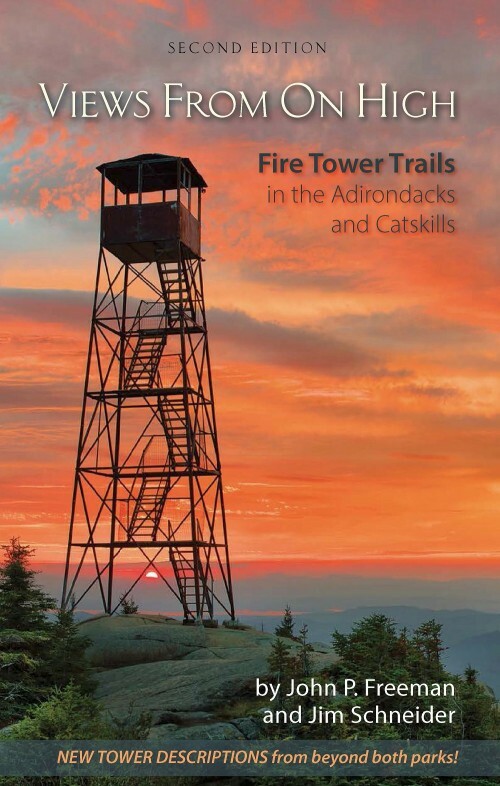 This program is a partnership of ADK, the state Department of Environmental Conservation, and the Adirondack Chapter of the Nature Conservancy. The program’s mission is to protect alpine habitat through education, trail work, and research. Summit stewards hike to the tops of four alpine summits and educate every hiker on the importance of protecting alpine plants by staying on solid bedrock above treeline. 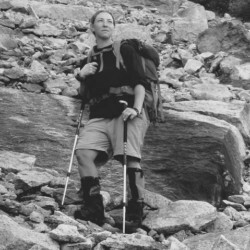 In 1999, Summit Steward Matthew Scott created a monitoring tool to evaluate the recovery of the alpine ecosystem, utilizing repeat photography to examine change over time. The photopoint monitoring project is scattered across nine summits with fifty-nine points. Baseline photographs were taken in the 1960s through 1990s, largely by Ketchledge, to document soil erosion and hiker impact. With Ketchledge’s assistance, Scott identified the location of the photographs. At each location he drilled a small nail into the bedrock so others could retake the shot, and documented tripod height, angle of camera, focal length, and GPS location. The methodology had to be simple and easy to replicate due to the project’s remote setting and user variability. That being said, finding a grey nail on grey rock is much more difficult than originally conceived! Photopoint monitoring is an unobtrusive, low-impact way to track alpine recovery over time. Project objectives are to create a library of images for educational purposes, document alpine recovery, and evaluate the success of the Summit Stewardship Program. In 2009, the photographs were analyzed, estimating the percentage of rock, soil, and vegetation visible. Analysis revealed that alpine areas were recovering and that peaks with a summit steward presence since the beginning of the program (Mt. Marcy and Algonquin Peak) had recovered significantly compared to mountains without regular summit steward coverage. (Read the peer-reviewed journal article at digitalworks.union.edu/ajes/vol17/iss1/7.) The photopoint monitoring project and the Summit Stewardship Program were deemed a success. However, this analysis was conducted before the exponential increase in hikers. Since 2009, summit stewards have seen a 73 percent in-crease in the number of hikers on the tallest alpine summits. In 2015, summit stewards retook photographs, and a new analysis was done to test whether traditional methods of alpine stewardship could preserve the alpine ecosystem in the face of high visitor numbers. The results were startling. A comparison of the photographs taken in 2009 and 2015 shows no statistically significant change in alpine vegetation. That might sound negative, but since alpine vegetation recovers less as the years go on, this is a hugely positive finding. It was expected that vegetation would be declining due to the increase of hikers, especially since the photographs target areas of impact around trails. This is a limitation of the project, as it does not show how the alpine zone is changing as a whole. This year, with funding assistance from Patagonia through The Mountaineer, summit stewards are working with two botany stewards to monitor how populations are changing across the alpine zone by sub-sampling the twenty-seven rare, threatened, and endangered alpine species. What does this mean for the Summit Stewardship Program? Photopoint monitoring continues to show that the program is effective in preserving New York’s alpine zones and that the alpine plants are still recovering. But despite the documented success, the program struggles to be fully funded. Grants from the ADKhighpeaks Foundation, the Adirondack 46ers, Patagonia through The Mountaineer, REI, the Waterman Fund, and the #507 Fund for Summit Stewardship along with the generosity of donors like you have made it possible to field a crew this year. 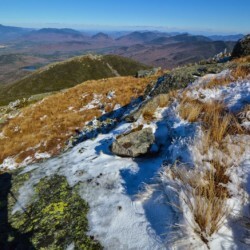 You can help ensure the future of the program and the alpine vegetation it protects and restores by making a donation to ADK or to the program’s endowment, the #507 Fund. For more articles like this pick up your September-October edition of the Adirondac available now. 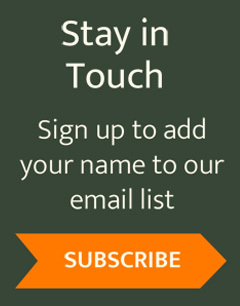 Members can view the magazine in their Members Area on the website. Non-members can purchase the magazine in our online shop.